A godly new Ballad, Intituled, A dozen of Points. Whereon each Christians soul may feed. Keep well the same and credit me. Thy life most pure and just shall be. Doth seek mens souls for to devour. Take heed I say and do not so. On whom he lays his heavy rod. The eye of Justice for to blind. So shalt thou stand and never swerve. To thy Countrey bear a faithful heart. 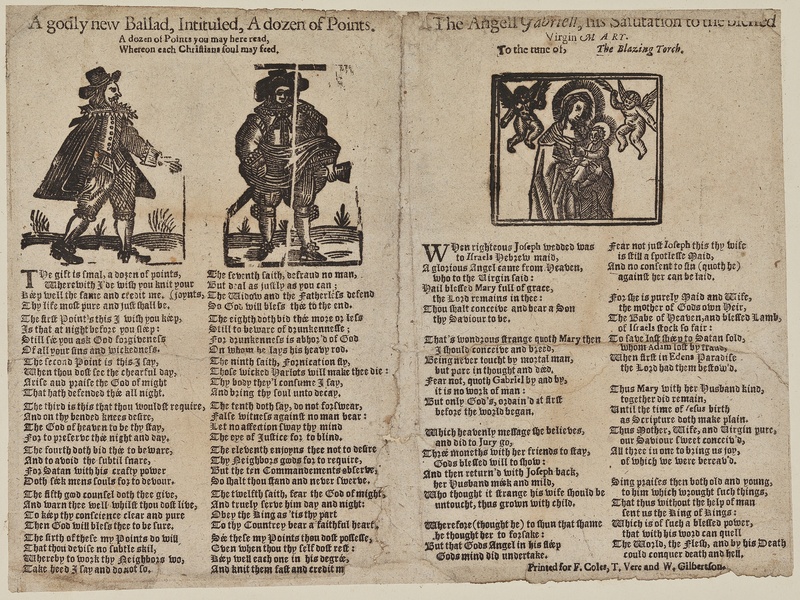 This Broadside printed for F. Coles, T. Vere and W. Gilbertson, circa 1658-1664. It was found in the William Euing Collection, #126, which is located at University of Glasgow Library. 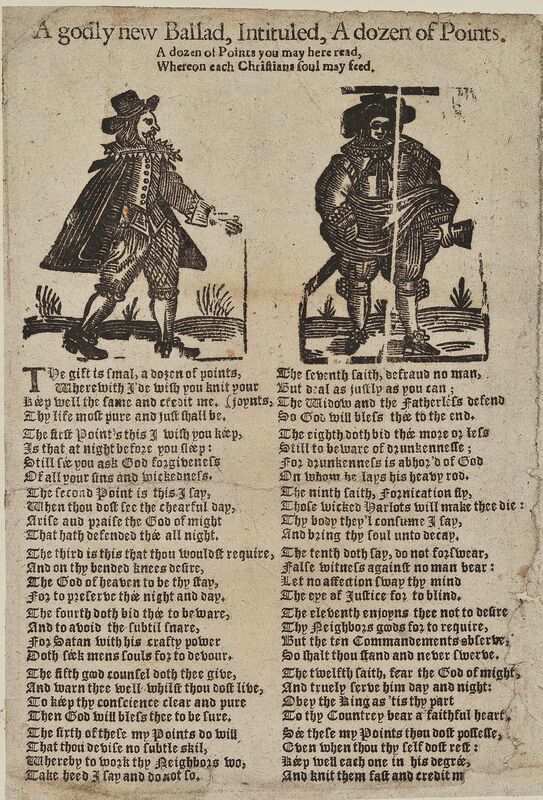 It is available online at the English Broadside Ballad Archive, University of California, Santa Barbara (EBBA ID 32613). 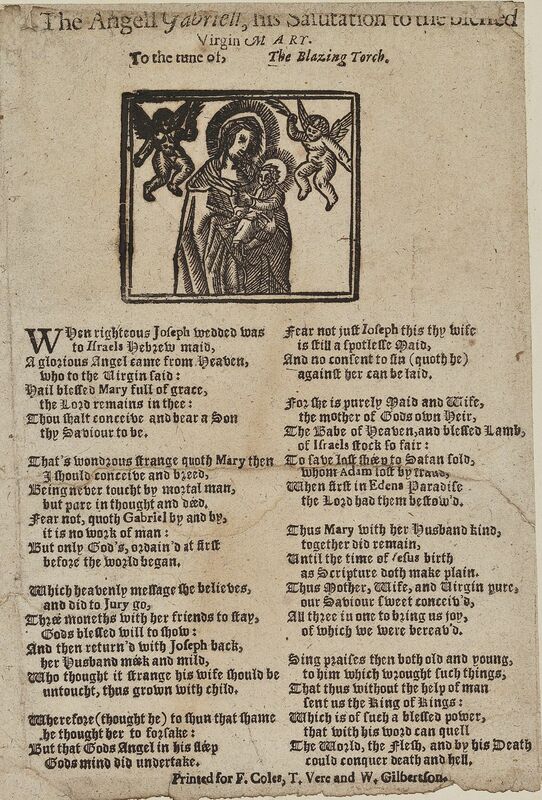 On the same Broadside was printed “When righteous Joseph wedded was.” (EBBA ID 32613). The Samuel Pepys Collection also contains an older version of ballad, A Douzen of Points. Interestingly, the ballad that was printed with that one was also When Righteous Joseph wedded was.